In 2018, the wedding industry saw big changes in wedding flower arrangements. Wedding bouquets were very big, (physically). Floral professionals used large amounts of (wildly) arranged greenery. Flowers were fully bloomed and the arrangements were untamed. Many brides and bridesmaids placed their bouquets on the reception tables as centerpieces after the ceremony. You will see some major floral changes this year. Arrangements will enhance the bride and bridesmaids gowns, without overpowering them. 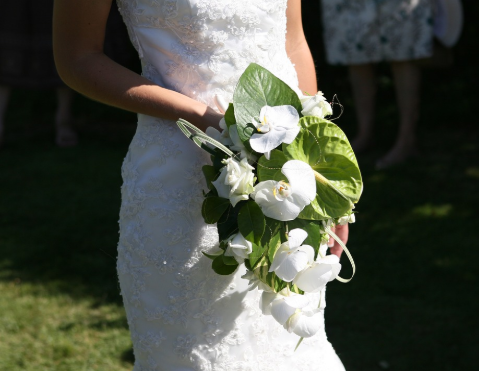 Bridal bouquets will still have a fair amount of natural greenery. However, the arrangements will be sized down and tamed. The wild look is gone. Since the flowers placed in the bouquets will be minimal, different shapes, sizes, and colors of the greenery will form the majority of the bouquets. The arrangements will be easier to carry and stems will be manageable when securely wrapped. Brides are turning away from roses. They still want classic and lovely flowers, but we will see more bouquets of Peonies, Lily of the Valley, and Hydrangeas. Fall weddings may see sunflowers. Modern trends are primarily one of the following three types of arrangements. Trend number one is arrangements that are beautifully formed with greenery which support a single large bloom. White blooms seem to be the favored. Bridesmaids arrangements are just a scaled-down version of the bridal bouquet with a smaller flower or a partially bloomed bud. Flower shops buy flowers in bulk. If a bride uses one type of flower, she will save a lot of money. The flowers should have delicate petals that bunch together nicely. 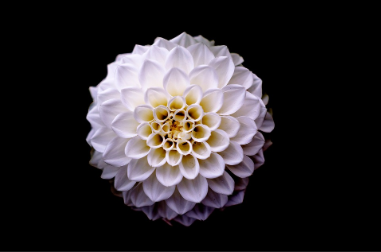 Most species of flowers come in different hues. Using those hues make a lovely bouquet with hints of color. Metallic gowns are still big this year. However, more brides are going with traditional white, diamond white, or ivory gowns and dressing their bridesmaids in metallic fabric. You will find beautiful gold bridesmaid dresses from Azazie at affordable prices. Reducing the size of the bouquets in the wedding leaves ample room for bridesmaids to wear simple flower halos. The halos work well with short or tea length dresses. If the gold dresses are more formal, the halos are overkill. Natural hairstyles with floral clips are more appropriate to complete the more formal look. The royal wedding has left an influence on brides around the world. All eyes are on the princess bride this year. She will wear gowns with silk or satin, adorned with lace sleeves. She is walking down the aisle in a lovely tiaras on her flowing hair. The third trend you will see in the wedding chapels this year is a small bouquet of natural flowers that looks like you just picked them from your flower garden. Minimal, understated, and beautiful is perfect for the brides who want a chic look on their wedding day. Today’s couple is concerned about the planet. They live their lives in a way that reduces waste. After the wedding, they do not want to see the lovely blooms wither and die, after only using them for a few hours. As they prepare for the honeymoon, they have volunteers from the wedding party gather the flowers and deliver them to a local senior citizen home. When placed in water, the flowers will last for days, bringing smiles to the face of others. Today’s couple is trendy and thoughtful. They have the wedding of their dreams and then they leave others with a smile. This is the real trend for 2019. This year is all about love.